There were days, and many of them, that a decent meal was hard to find in Walt Disney World. Those trips have long since become extinct and now there are plenty of good things to partake in everywhere you look at in the parks. Of course, just because there is good food on every counter and table doesn’t mean every meal is a runaway success. Everyone is well aware, when it comes to Disney’s Animal Kingdom, the smoked meats of Flame Tree Barbecue is hard to beat by my standards. Whether it is ribs or chicken, I am a big fan with of the process, rub, and sauce that Flame Tree utilizes. 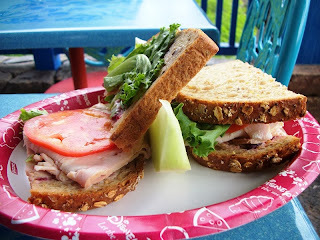 With those thoughts in mind, I gave the Smoked Turkey Breast Sandwich a try last year. The sandwich comes on whole grain bread, with lettuce, tomato, cranberry mayonnaise, and a side of fresh fruit. The fruit was good and the bread, while not my favorite variety, was also good, but that is where the positives end. The cranberry mayonnaise is heavy on the mayo and light on the cranberries. The turkey doesn’t really have any smoked flavor and comes off as the same cold, clammy pressed turkey you remember from elementary school cafeteria sandwiches, only a bit thicker slices. It was one of those rare occasions where I did not finish my meal. What’s all the more difficult to swallow here is that this could be a top-tier attention grabbing meal. Take real turkey, breast or even a whole turkey, and smoke them using the same process the chicken and ribs go through. Then pull the turkey for the sandwich, allowing guests to decide if they want to add sauce to it themselves. Instead of cranberry mayonnaise, opt for some sort of cranberry chutney. A few key changes could go a long way with the Smoked Turkey Breast Sandwich. I hate finding meals at Walt Disney World that don’t meet the high standards that have become the bread and butter of the culinary side of the park and resorts, especially from a restaurant that often offers the best of the best. Flame Tree Barbecue has many mouth-watering meals, just take my word for it and stay away from the turkey. Last week the Disney Parks Blog released its 14 Reasons to Visit Walt Disney World in 2014. Jennifer Fickley-Baker had some great reasons to visit, especially with a year that is going to see some dramatic changes to the landscape of Walt Disney World, but I’m not sure they are the same 14 reasons I would give. 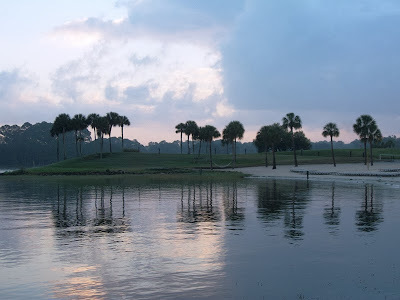 So, what are my 14 reasons to visit Walt Disney World in 2014? Well, I’m so very glad you asked! 14. – I’m not a big fan of spectacle. Okay, that’s not entirely true as fireworks displays do have the ability to choke me up. However, outside of the Main Street Electrical Parade I’ve never been one who truly felt the urge to hug a curb waiting for a parade. That said, I am extremely curious to see what Disney’s Festival of Fantasy Parade has to offer after what I’ve seen of Mickey’s Soundsational Parade at Disneyland. 13. 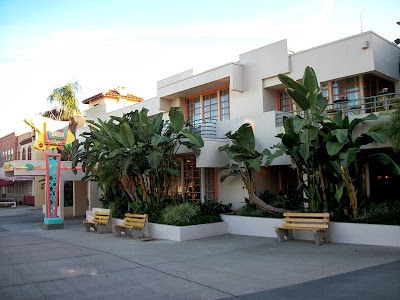 – I may not get there for it, in fact I’ve been rather lax with making it to park anniversaries since Disney’s Hollywood Studios turned 20, but the park will have its 25th birthday on May 1st of this year. For me, the 25th year of a park is such an incredible milestone. Here’s hoping the park unwraps some much needed love in the form of an announcement of some new attractions as a birthday present. 12. – I’m not sure that Morocco needed another dining establishment in its borders, after all it has two of the best World Showcase eateries around, but if Spice Road Table can live up to its expectations and the high standards set by Restaurant Marrakesh and Tangierine Café then it is sure to become a must eat destination for me. 11. – At Disney’s Animal Kingdom it seems as if you fall into two categories as enthusiasts, and Finding Nemo the Musical has always been my bit of stage magic in the park. I appreciate Festival of the Lion King, particularly for those with younger children, but it’s never been quite my thing. With the show moving to the more appropriate land of Africa, I am extremely thrilled to see Harambe expanding, curious what the new theater will look like, and hopeful that Festival of the Lion King will get a fresh breath while maintaining its whimsy and charm. 10. – A Citrus Swirl. It doesn’t matter if it has been back for a couple of years and I’ve already had countless servings of them since then, it is always a good reason to visit Walt Disney World. 9. – In the past couple of years Disney’s Animal Kingdom has been extremely fortunate to have had so many animals born under their care. Just like our own children, these creatures grow up at an alarmingly quick rate, which means we should all be taking the time to marvel at their growth and see what new things they have been up to on each and every visit. 8. – Gene Duncan, who has spent 40 years with Disney as a photographer, is retiring. His photographs have never ceased to amaze me and to inspire me to do more to capture the individual moments of Walt Disney World. With his flash no longer illuminating Walt Disney World for me there is a big gap to be filled, though I’m sure photographers such as Tom Bricker and Tim Devine will do their very best to fill that void. For my part, I’ve finally stepped up and gotten a big boy camera and a couple of lenses and I am excited to see what type of photographs I can capture in 2014! 7. – Walt Disney World always puts its best show forward for the holidays! Whether it is Christmas and New Year’s, Easter, Fourth of July, or Halloween, the parks and resorts may be crowded, but the decorations, limited time treats, and special events more than make up for having to be there with tens of thousands of your new closest friends. 6. 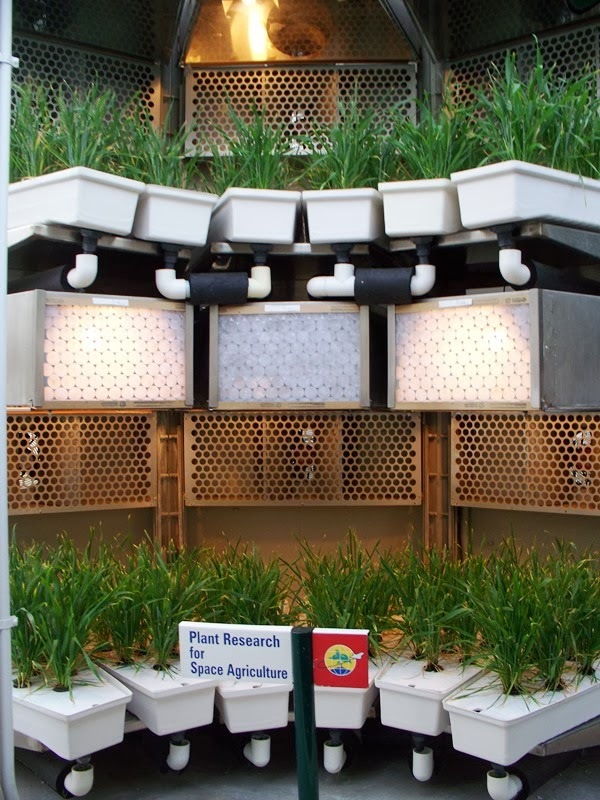 – We’ve been big proponents of getting food trucks to Walt Disney World for a while now, with the new fleet of mobile feeding stations finally on property we cannot wait to sample the goods! 5. – MagicBands have been a hot topic for a while now, and the ball really got rolling in the latter half of 2013, with MagicBands finding their way into almost every facet of the park-going, resort-staying experience in 2014 I’m curious to get a solid feeling on how the Walt Disney World experience has changed. 4. 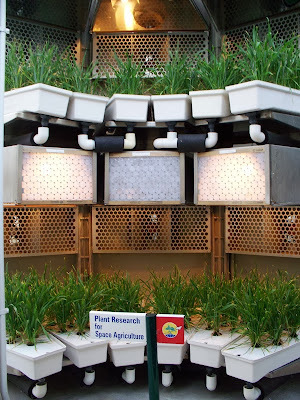 – I never, ever, miss the Epcot International Flower and Garden Festival if I have something to say about it. With Muppets as a driving theme this year, there is no way I am going to miss out on it! It should also be noted that Epcot’s other big event, the International Food and Wine Festival, is just as deserving of guest attention. 3. – I just happened to be in the right place at the right time when Dumbo the Flying Elephant and the first glimpses of Storybook Circus were unveiled in the spring of 2012. The same anticipation and excitement I had then I feel now for the Seven Dwarfs Mine Train. Besides the exhilaration of experiencing a new attraction, with all of its innovative storytelling and effects, seeing Fantasyland complete and all the new details to uncover is going to be a real treat. 2. – I know many fans of Star Wars were a bit, shall we say, dismayed when Star Wars Weekends came and went last year without much in the way of announcements. After all, it was the first year that the marquee Lucasfilm property fell under the Disney banner. This year, the Force is telling me there will be a lot to get excited about during the festivities. Even if no attraction announcements are made, there will likely be some exciting tidbits about the new animated series, Star Wars Rebels, and the upcoming Episode VII which is slated to begin shooting in the spring of 2014. 1. 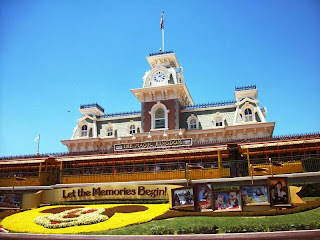 – It’s been a rather long stretch, by blogger standards anyway, since my last visit to Walt Disney World and I’m most looking forward to catching up with old friends, maybe a few new ones, and the memories that we’ll make together. Oh, and the food, definitely the meals that we’ll share together! There may be some changes coming to the Main Street Gazette home office this year that could make travel to Walt Disney World difficult. Of course, that doesn’t mean there aren’t reasons to dream about visiting the Vacation Kingdom and planning, whether real or imaginary, trips that we would love to take! What are your 14 reasons for waiting to visit Walt Disney World in 2014? The Magic Kingdom and Cinnamon Rolls, no finer way to start a holiday! We found a memo from The Ten Commandments production at Backlot Express. Silent Saturday enjoyed a meal at 50's Prime Time Cafe. AJ Wolfe is all over the turkey leg hullabaloo at The Disney Food Blog. 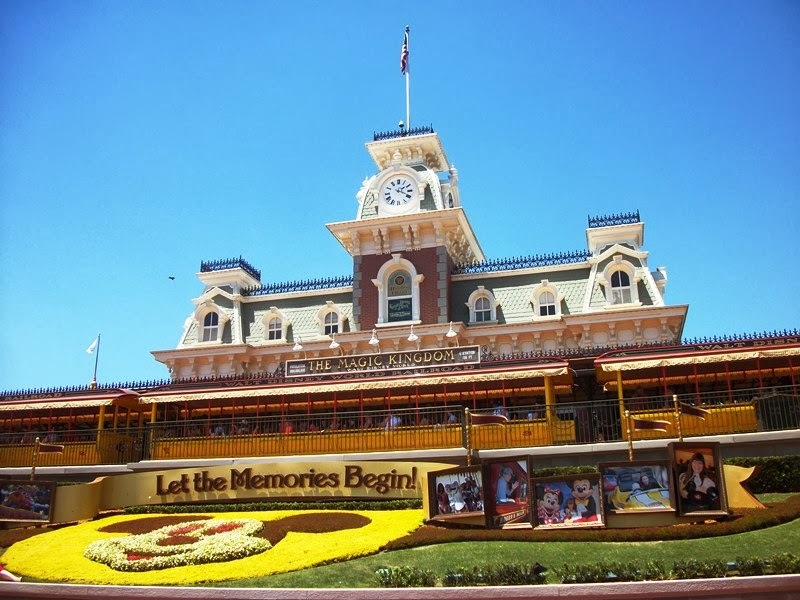 We are reminded that it is people who truly matter in the Disney community in a look back at 2013 from Estelle Hallick on This Happy Place Blog. Nicole Siscaretti has New Year’s Eve at Disney’s Hollywood Studios covered for Sparkly Ever After. Imagineering Disney has some great Then and Now aerial perspectives of the parks. Like, zoinks, looks like old man George Taylor has solved a Liberty Square mystery at Imaginerding. Adam and Andrew give the Yak Attack a whirl with not-so-pleasant results at the Disney Hipster Blog. Passport to Dreams Old & New and FoxxFur explore the illusion of life through light in the parks. Meeting Anna and Elsa can be a feat, but Disney On Wheels and Melissa Knight Coulter embraced the challenge. Roundtable Contributors: Blake Taylor (BlakeOnline.com). Saturday, January 4, marked the final operating days for two WDW entertainment mainstays. One is gone for good, while another will return with unspecified upgrades. Celebrate a Dream Come True Parade danced through the Magic Kingdom's streets for over 12 years, since its debut as part of the 100 Years of Magic promotion on October 1, 2001. It's gone through several iterations involving slight changes to floats, music, and names over the years, but as a whole it's remained the same procession. Many fans became tired of seeing the same old floats, but this parade is actually my favorite of any Disney has put on. 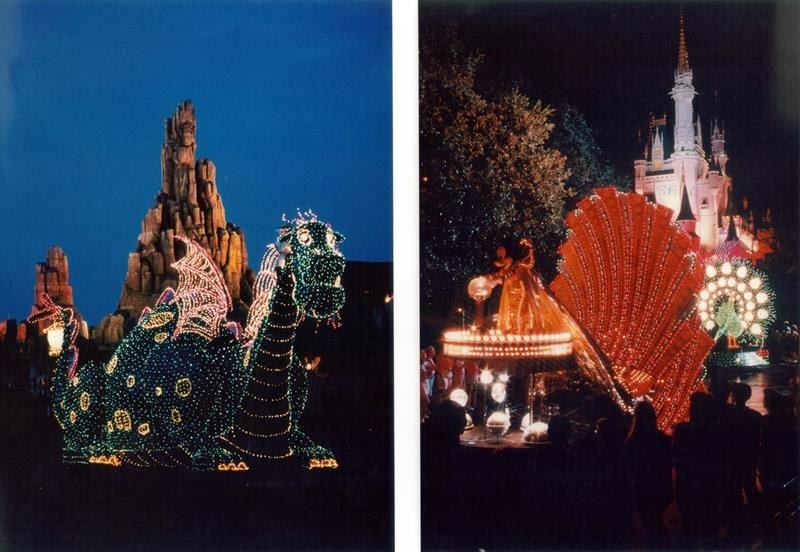 Yes, its floats and choreography may have been subdued in comparison to other Disney parades, but that meant its focus was instead turned to character interaction. I like to think of the Magic Kingdom as the quintessential Disney experience, where childhood heroes materialize before our eyes and lifelong dreams of having an encounter with those heroes come true. That's what this parade did so well: By including nearly every classic Disney character imaginable and turning its attention to how those characters interact with guests along the parade route, it made for special memories that other parades with a performance focus can never achieve. I look forward to the Festival of Fantasy Parade debuting later this spring, but I admit I'll miss Celebrate. Over at Animal Kingdom, Festival of the Lion King had its final performance in its Camp Minnie-Mickey location. 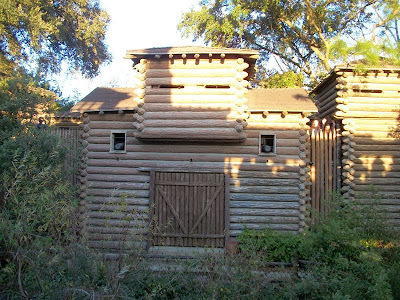 The show will re-open in about six months in a new building in the Africa area of the park. There hasn't been any word on if the show is simply being moved verbatim and the theater will be the only element to receive an overhaul, or if the show's content itself will be seeing some alterations. I really do enjoy Festival of the Lion King (it's my favorite attraction at Animal Kingdom), but I'd love to see a few content changes here and there to keep things fresh. 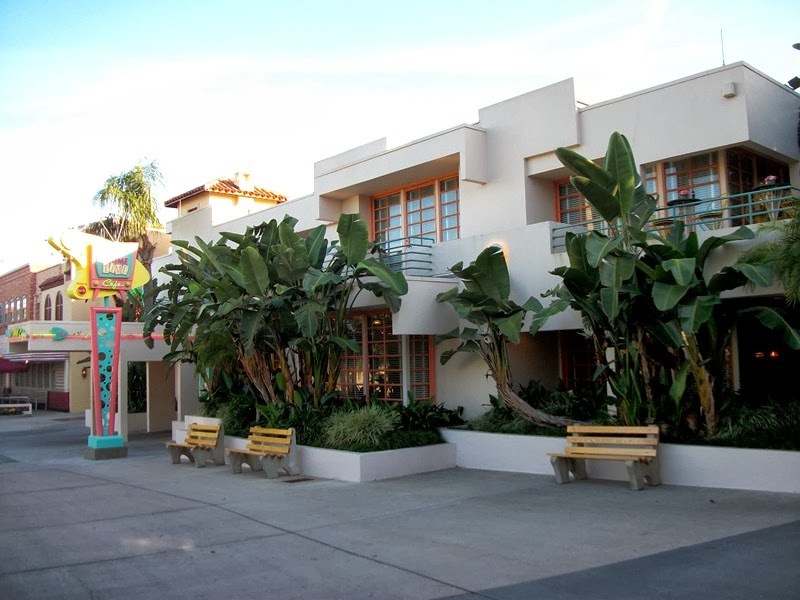 When exploring Disney’s Hollywood Studios for hints, clues, and props that tell the story of Hollywood, it is easy to ignore some of the little things. 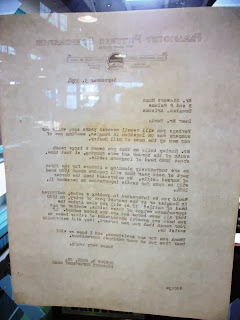 Take this Paramount Pictures memo taped to the inside of an office window at Backlot Express. With the print facing the opposite direction it doesn’t seem to be worth exploring any further does it? Well, let’s give it a read (the right way around this time), and see what it can tell us. Perhaps you will recall several years ago, while our company was on location in Douglas, meeting one of our men by the name of Bill Hurley. Mr. Hurley tells me that you owned a large ranch south of the border and were running, at that time, about 3000 head of longhorn cattle. We are tentatively planning a picture for the first part of next year that will require about 1500 head of horned cattle. We understand that the border will be open for cattle importation on December 31, 1954. Would you be interested in quoting a price, delivered in Douglas or at the nearest port of entry, on 1500 head of cattle? If so will you also advise the approximate weight of these cattle, whether or not they all have horns and are the horns nubbed. If you have any general photographs of cattle taken on your ranch that you can forward, they will materially assist us. Thank you for any assistance, and I hope we will hear from you at your earliest convenience. Not too terribly exciting, is it? Well, perhaps a bit more when you consider the cattle Cole was looking for in 1955 would be for the picture, The Ten Commandments. It’s the first day of a new year and, like most holidays, it should start with something sweet to eat. On any given weekend, that could be pancakes, waffles, and a quick trip down the street for some doughnuts, but on holidays I’ve always found that cinnamon rolls are the way to go for a special treat. Luckily, in the Magic Kingdom, you now have two destinations, and two varieties, of cinnamon rolls to dig into. Both the Main Street Bakery and Gaston’s Tavern serve up warm cinnamon rolls, the kind that your kids will like to hold up to their faces and remind you that the pastry is as big as their head! At which point you’ll probably realize how much sugar you just handed them… My suggestion? Nothing cures a sugar rush better than running around Tom Sawyer Island. Back to the breakfast at hand, Main Street Bakery serves the traditional variety of the Cinnamon Roll, large pillows of sweet, cinnamon-infused dough drenched in gooey icing. 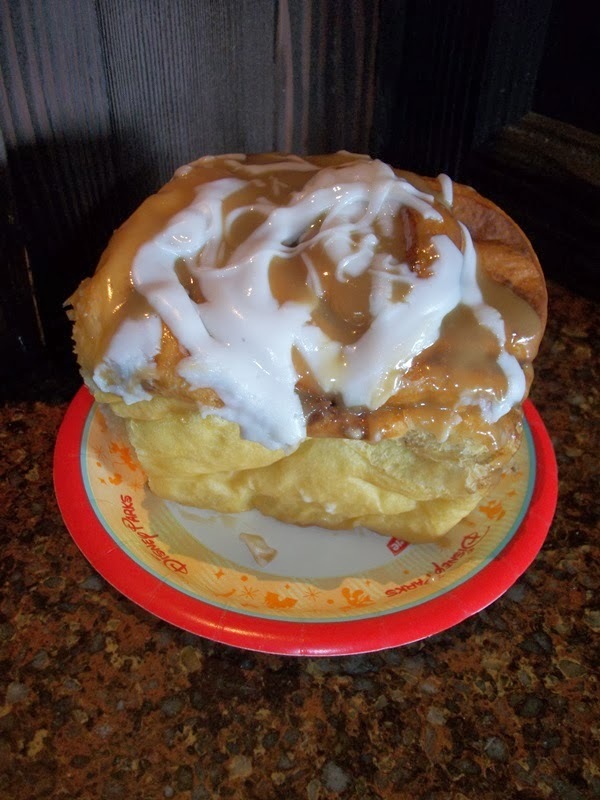 Meanwhile, at Gaston’s Tavern, the Warm Cinnamon Roll is the same roll (why mess with perfection, right? ), but the icing is doubled up with the typical glaze as well as a second maple icing. Both of these cinnamon rolls have their place in my heart, but the maple just doesn’t do it for me, so I prefer the original found at Main Street Bakery. Although I have heard tale of being able to ask for a cinnamon roll at Gaston’s Tavern without the maple topping, but I’ve not been able to confirm that for myself yet. When you head out to your local bakery this morning for a batch of freshly baked cinnamon rolls you are unlikely to find the Walt Disney World variety. Instead, as has been my typical experience, you will find rolls perfectly suited for garnishing Princess Leia’s hair. By that I mean the rolls will likely be round, with a hearty crust to them. These are perfectly fine, but as a person who has never been big on crust for breakfast (a baguette is a whole other story), the doughy version found in the two breakfast stopovers in the Magic Kingdom has always suited me better. They keep me salivating until my next trip, and I suppose they should be a special treat only consumed here and there. After all, you are on vacation!